FK Lowry Piling have successfully completed a CFA Piling Project at one of Belfast’s most well-known Landmarks. The new £29.5M extension to the Waterfront Hall is now well underway and the new extension will more than double the event space to 7,000m2. 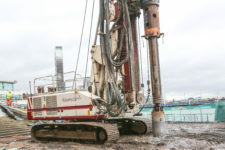 Main Contractor, McLaughlin & Harvey appointed FK Lowry Piling to install 253 No. 450 Diameter CFA Piles on the scheme. Furthermore, a number of the pile positions had to be pre-bored to overcome the existing Made Ground/Fill and the existing Quay Wall of the adjacent River Lagan. 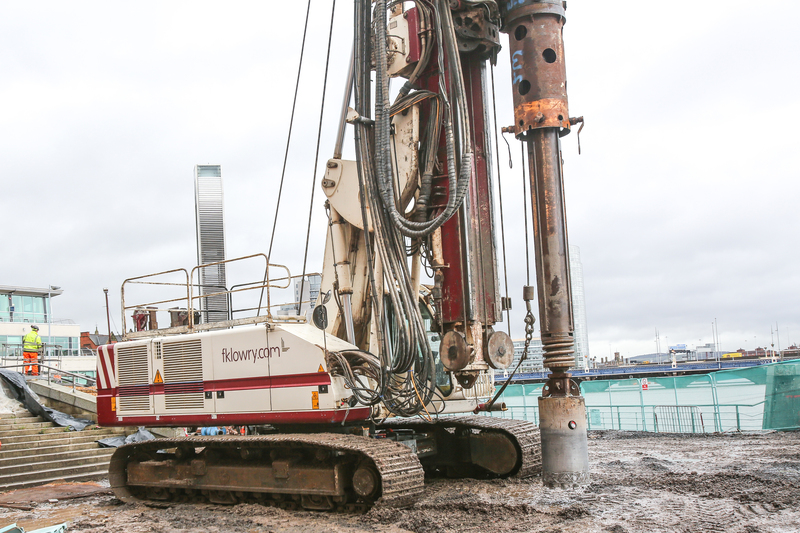 FK Lowry Piling deployed their powerful dual purpose Soilmec SR70 Rig to pre-bore through the obstructions and Made Ground with 700mm diameter Casing and 600mm diameter rotary tooling.